Bottom Line: A fruity Napa rose sparkler that is balanced by a hint of earthy charm. 86 • Don Ernesto 2015 "Beret", Rose, Napa Valley 12% (USA) $24.00. 90 • Hagafen 2015 Estate Bottled, Riesling, Napa Valley 11% (USA) $24.00. 91 • Hagafen 2015 Clearwater, Riesling, Lake County 11% (USA) $21.00. 93 • Hagafen 2015 Sauvignon Blanc, Napa Valley 13% (USA) $27.00. 93 • Hagafen 2014 Estate Bottled, Cabernet Sauvignon, Napa Valley 14.5% (USA) $48.00. 92 • Hagafen 2015 Estate Bottled, Merlot, Oak Knoll District, Napa Valley 13.5% (USA) $42.00. 86 • Hagafen 2016 Chardonnay, Oak Knoll District, Napa Valley 13.5% (USA) $30.00. 92 • Hagafen 2017 Sauvignon Blanc, Napa County-Sonoma County 12.5% (USA) $27.00. 94 • Hagafen 2017 Wieruszowski Vineyard Estate Bottled Sweet, Riesling, Coombsville, Napa Valley 11% (USA) $24.00. 83 • Hagafen 2015 Methode Champenoise Brut Rosé, Napa Valley 12.5% (USA) $48.00. 88 • Hagafen 2016 Estate Bottled Wieruszowski Vineyard, Cabernet Sauvignon, Napa Valley 14.4% (USA) $54.00. 91 • Hagafen 2016 Estate Bottled, Merlot, Coombsville, Napa Valley 14.9% (USA) $42.00. 92 • Hagafen 2015 Brut Cuvée Sparkling Wine, Napa Valley 12.8% (USA) $48.00. 85 • Hagafen 2017 Chardonnay, Oak Knoll District, Napa Valley 13.8% (USA) $30.00. 89 • Hagafen 2017 Prix Reserve, Chardonnay, Napa Valley 13.8% (USA) $40.00. 92 • Hagafen 2018 Sauvignon Blanc, Napa County-Sonoma County 12.5% (USA) $27.00. 87 • Hagafen 2017 Clearwater Ranch, Riesling, Lake County 12% (USA) $24.00. 91 • Hagafen 2018 Clearwater Ranch, Riesling, Lake County 12% (USA) $24.00. 92 • Hagafen 2017 Prix Reserve, Sauvignon Blanc, Napa Valley 13% (USA) $40.00. 89 • Prix 2014 Estate Bottled, Sauvignon Blanc, Napa Valley 13% (USA) $40.00. 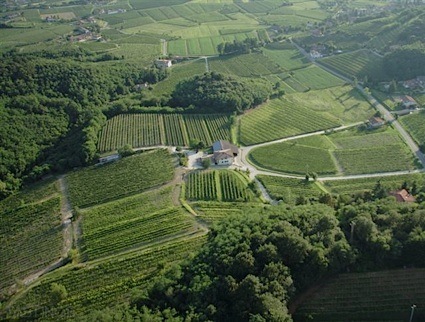 89 • Prix 2015 Reserve, Chardonnay, Oak Knoll District, Napa Valley 13.5% (USA) $40.00. 88 • Prix 2016 Reserve, Chardonnay, Oak Knoll District, Napa Valley 13.5% (USA) $40.00. 85 • Prix 2016 Estate Bottled Reserve, Sauvignon Blanc, Napa Valley 12% (USA) $40.00. 93 • Prix 2014 Reserve Estate Bottled, Syrah, Napa Valley 14.7% (USA) $65.00. 88 • Prix 2015 Estate Bottled Reserve, Cabernet Sauvignon, Napa Valley 14.3% (USA) $80.00. 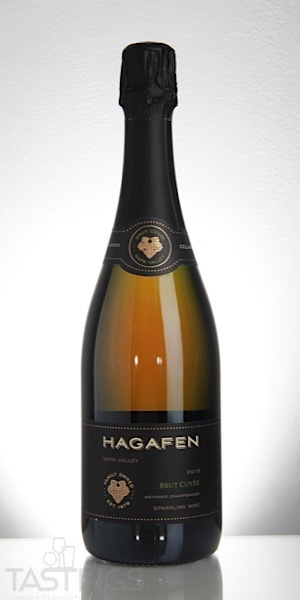 Hagafen 2015 Brut Cuvée Sparkling Wine, Napa Valley rating was calculated by tastings.com to be 92 points out of 100 on 11/6/2018. Please note that MSRP may have changed since the date of our review.